Smoothies are a great way to get lots of nutrients into your body without too much preparation, which makes them a great meal for breakfast or throughout the day when you’re short on time. You can chop and change the greens used for this one for variety, which will also vary the flavour. Kale or baby spinach both work well. 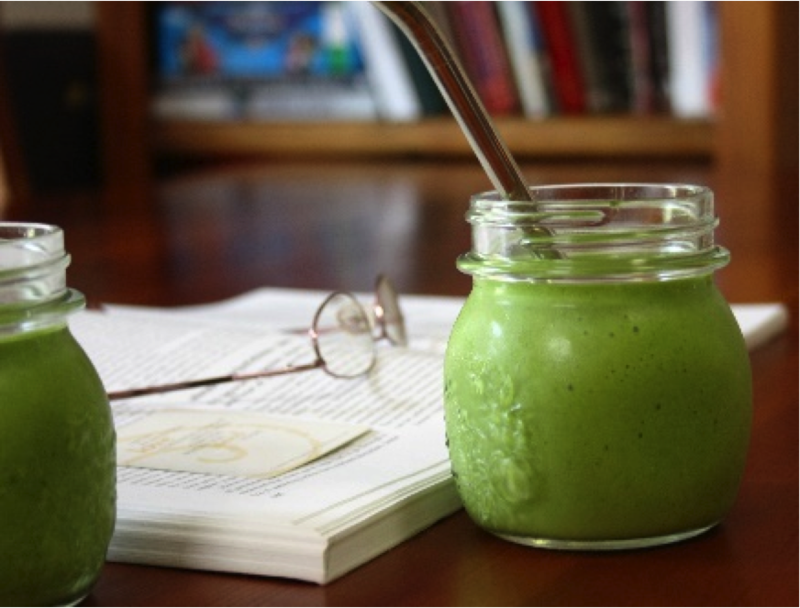 Teamed with the good fats found in avocado, this smoothie really is a meal in itself. Mangoes are still in season here at the moment, so I’m making the most of them. Simply place all the ingredients into the blender in the order listed above and blend until the spinach in particular, is well chopped and your ingredients are now smooth. Serve well chilled. As with any smoothie you make, if you want you can always add a teaspoon of maca powder if you have it, or protein powder. They will change the flavour a little, but will give your smoothie that extra boost. *I have actually bought a few extra mangoes while they’re in season and have them in snap lock bags in the freezer ready to go, with a serve in each little bag. This eliminates the need to use ice cubes, and also allows me to enjoy the deliciousness of the mangoes for just a little bit longer.